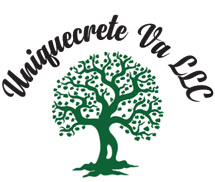 Uniquecrete VA located in Brandy Station, VA has years of tree services experience including, tree removal, tree trimming, tree pruning, stump grinding and Excavating in VA. Uniquecrete VA has been approved by Federal Emergency Management Agency (FEMA) for emergency tree services throughout the state of VA. When it comes to tree services in VA, Uniquecrete VA's forestry mulching equipment will make quick work of mulching trees, saplings and branches. We remove dangerous trees limbs and problem branches from your property. For tree removal emergencies for state and local governments, residential or commercial call (703) 587-2984.